The Indonesian government has finally capitulated to international pressure and invited a U.N. peacekeeping force to East Timor, although it remains to be seen whether the Indonesian military will buckle under and accede to this plan. The United States’ failed efforts last week to induce Indonesia’s armed forces to halt the violence–and to cease their tacit and sometimes active support of the campaign of terror and killing–has again exposed the basic flaw in our approach to influencing Third World militaries. This fiscal year alone, the Pentagon has spent $50 million on its International Military Education and Training (IMET) program, an effort designed, as a Defense Department report grandiosely argues, to impart “democratic values . . . and respect for civilian authority and military professionalism” to foreign military leaders. The assumption behind this expensive endeavor is that by “exposing” Third World officers to the ethos of the U.S. military, those officers will become more like ours and that this exposure and other “military-to-military” contacts will somehow give the United States political influence over these military leaders. Obviously, this line of thinking is arrogant. After all, why doesn’t the Pentagon assume that by “exposing” U.S. officers to authoritarian military cultures, our officers will embrace the values of their charges, rather than vice versa? The only answer is that we assume that our values are so self-evidently superior that merely exhibiting them will convert Third World military leaders to the American way. But the history of IMET–and such similar and expensive programs as the U.S. Army School of the Americas and the Pentagon’s Inter-American Defense College–reveals that notion to be a fallacy. 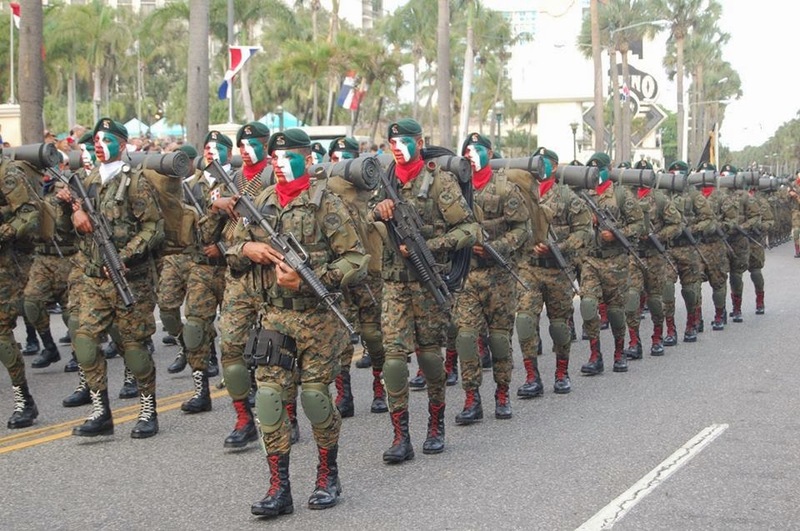 In El Salvador, for example, the elite Atlactl battalion received extensive U.S. training, yet that battalion was responsible for the murder of six Jesuit priests in 1989, as well as numerous other atrocities throughout El Salvador’s civil war. The members of the Salvadoran high command who almost certainly ordered the Jesuits’ murder and who indisputably covered it up were also recipients of IMET aid, as was Roberto D’Aubuisson, the former Salvadoran officer who was the leader of the right-wing death squads. Given such a track record, some critics of U.S. foreign policy have long argued that IMET and similar programs merely train Third World officers to be more efficient abusers of human rights. But the sources of the problem are far simpler and less nefarious: 1) The U.S. armed forces’ ability to alter fundamentally the beliefs and values of officers from very different political and military cultures is extremely limited–far more limited than the Pentagon’s overblown rhetoric would have it. 2) Despite U.S. tutelage, foreign militaries will respond to their notions of national–and institutional–interests, rather than America’s. Thus, we really shouldn’t be surprised that the U.S. armed forces’ influence on the Indonesian military has proved so minimal, despite the 17 Indonesian officers trained in the U.S. this year and despite the series of demarches from American military leaders to their Indonesian counterparts last week–including pleas directed to Indonesia’s military chief by both the commander in chief of the U.S. Pacific Command and the chairman of the Joint Chiefs of Staff. IMET should be drastically reduced. Of course, the U.S. national security interests might require that certain foreign militaries be trained to use military equipment and to employ specific tactics, but IMET’s pursuit of its ambitious political and social goals are wasting taxpayers’ money. To be sure, advocates of IMET will argue, as they always have, that the program engenders invaluable cooperative relationships between the U.S. and foreign militaries. But this logic puts the cart before the horse. The events in East Timor show that worthwhile military cooperation cannot be born of IMET but only of common interests. When those interests are present, IMET is superfluous. When those interests are absent, IMET is useless.